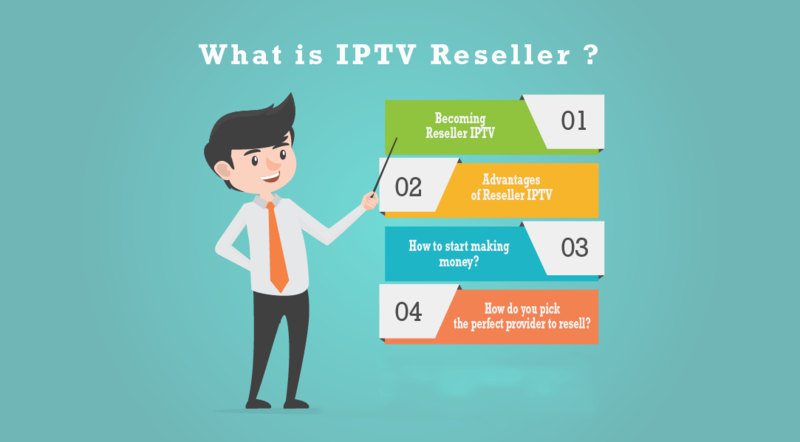 Make money easy with resell IPTV service. Do you know that more than 60 million people in the world are using now IPTV service? We provide for IPTV reseller package available at an attractive price. Our IPTV subscriptions available that include over more than 13000 channels and 5000 vod. We have most of the channels for every country, You can start to resell IPTV with one way easy. Want to be Reseller just contact us from here . Of course, the first thing that comes to mind is money! It’s natural that resellers pay for each account they create in DMTNiptv Panel so it’s also natural that they sell it to their customers. The money they get for the accounts depends on how well a marketer he/she is. For example, creating a 1-month account in Panel costs the Reseller 6 USD, but he can sell it to his customer for 8 or 10 USD. So resellers should have that in mind! The can also sell at lower prices. Another thing to mention is that we care for our resellers, so when our Resellers submit a ticket or contact us, we will prioritize them. This also means we will consider their request for adding other channels/packages to our list more than other members. 03 - How to start making money ? 04 - How do you pick the perfect provider? SMART IPTV is your best privder in IPTV in the world to start your own business as reseller .